This book is developed from the ground up to cover the syllabus announced by the AICTE in its latest model curriculum. 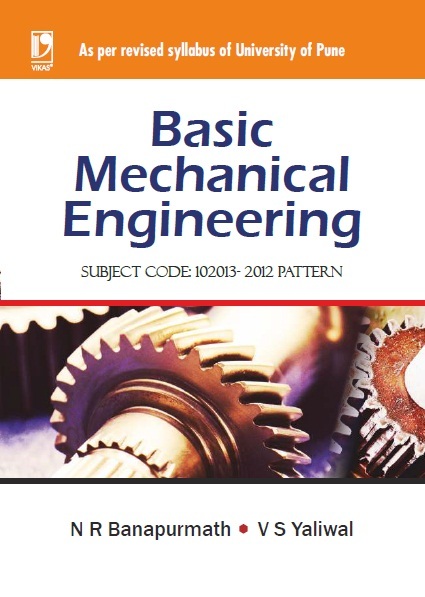 It provides insights into traditional engineering graphics as well as treats of the subject using software AutoCAD, CATIA and ANSYS, through simple and well-explained examples along with an ample number of unsolved problems and MCQs. Screenshots have been provided after every step, making it simple to learn how to use the software for a specific solution. It targets all academics—students, and researchers as well as industry practitioners and engineers, involved in engineering drafting. 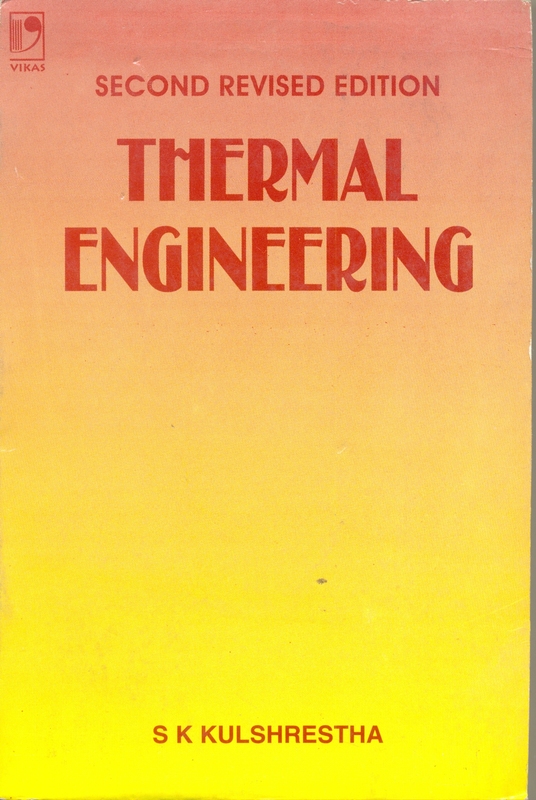 The book begins by introducing the role and application of engineering drawing and describing such basics as the types of drawing sheets, lines, planes, quadrants and angles of projection, and national and international drawing standards which it calls the basic grammar for engineering graphics as a language. 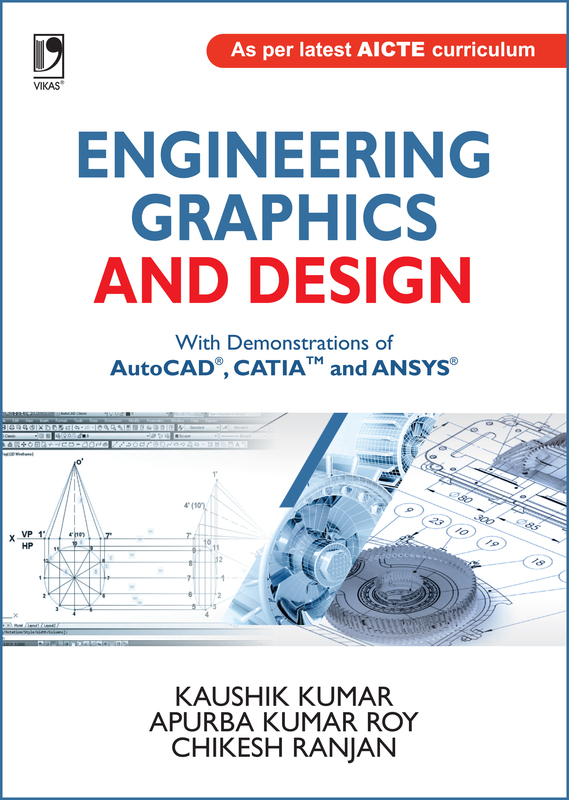 The book introduces the software—AutoCAD, CATIA and ANSYS emphasizing on their specific features. Equipping the reader with this ground knowledge it comes to the nitty-gritty of drawing various curves, projection of points in separate quadrants, projection of straight lines in various positions, various projections of plane surfaces, and solids like prism, pyramid, cylinder and cone. It then goes further to sections of solids wherein the placements of the cutting planes have been explained in various positions like perpendicular, parallel, and inclined to HP and VP. Having thus trained the drafter in handling the drafting tools the book graduates to more complicated material like fusion of one solid shape into another. It explores various types of them so that development of lateral surfaces of solids can be made and depicted isometrically and projected orthographically. Lastly, the book describes 3D modelling using CATIA, where solid models are drawn, and how 2D analysis is done using ANSYS.